What Is The FMCSA Pre-Employment Screening Program? You are here: Home / Negligent Hiring / What Is The FMCSA Pre-Employment Screening Program? Although the Federal Motor Carrier Safety Administration launched the first phases of its Pre-Employment Screening Program (“PSP”) back in May of 2010, many in the industry are just now starting to comprehend its significance and put its tools to use. PSP is a comprehensive data collection and rating system designed to improve the overall quality of commercial drivers. It aims to reach this goal by providing carriers with the information necessary to make better decisions when hiring commercial drivers. inspection information to the DMV’s tracking of traffic violations, the FMCSA developed a system to make safety performance information electronically available for pre-employment screening purposes. As this new program becomes more widely used, legal questions are sure to follow. Will data from the driver’s PSP report be admissible at a trial? Will it become the standard of the industry for employers to use this program or face liability for negligent hiring? How consequential must a driver’s past record be before it would become unreasonable for a carrier to hire that driver? All of these questions will have to be considered as the data from this program become more available. For more details about the protection of the commercial driver’s privacy, as well information on how to obtain a PSP report, visit the FMCSA’s PSP website. Sign up to receive blog updates by entering your email below. Your information is kept private and never shared. 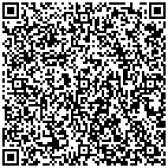 Please Note: This law blog is written and presented for informational and educational purposes only. Nothing found on this blog constitutes legal advice. This blog is not intended to create an attorney-client relationship. Readers and visitors should not act upon any information found on this blog without seeking professional legal counsel from a qualified attorney. 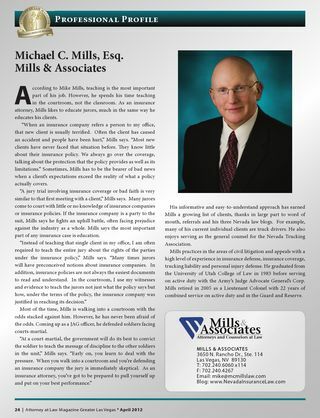 Feel free to contact Michael Mills with your questions. About Publisher Michael C. Mills, Esq. Don’t miss future updates from Nevada Trucking Law!